How a Christmas Ornament is created! 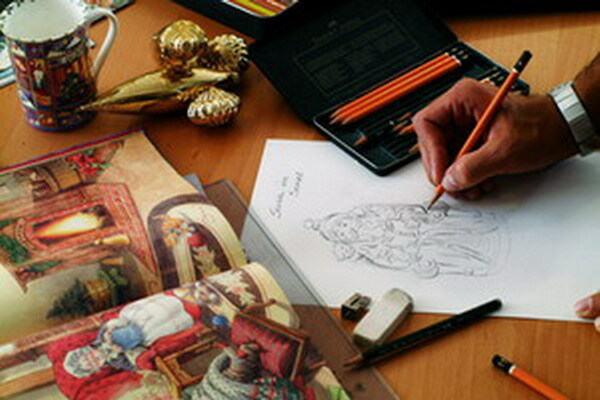 First an idea, then a sketch – this is the beginning of a new original Christmas ornament from Krebs Glas Lauscha. From the first line drawn through to the finished jewel-like ornament, you can feel the tradition and love of detail that has been passed down from generation to generation into the hands of our workers. 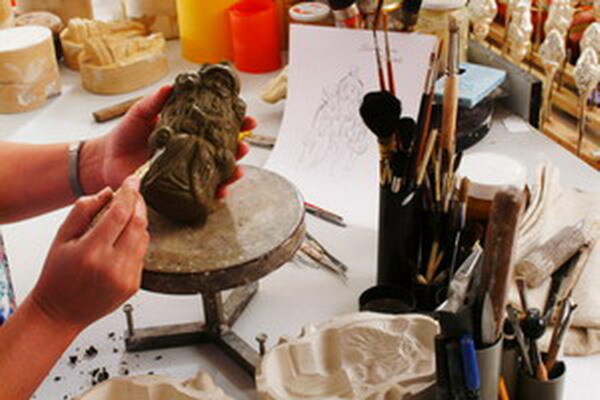 Skilled hands turn the sketch into a clay model which forms the basis for a plaster mould. From this, the final mold for the glassblower is produced. A glassblower needs skill, talent and a keen eye. The hollow tubing that will become a Christmas ornament is heated to over 800 Degrees Celsius. Handling this “liquid honey”, the glassblower only has one chance! He takes the molten ball and carefully blows it into a mould, quickly removes it and carefully flame-polishes it, without removing any of the fine details. 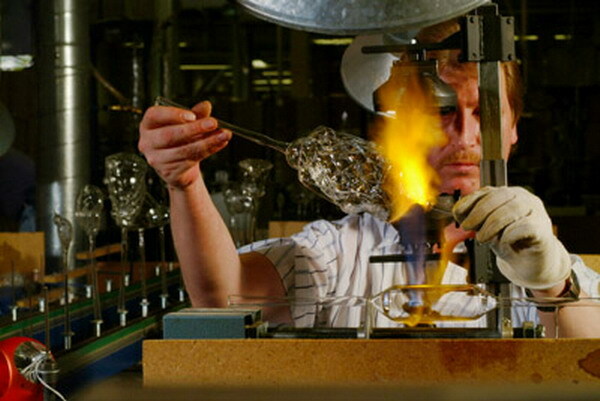 That is why our glass is called “mouth blown glass”, “lamp blown glass” or “mould blown glass”. Further careful hand work coats the inside of this beautiful delicate looking form with pure silver. 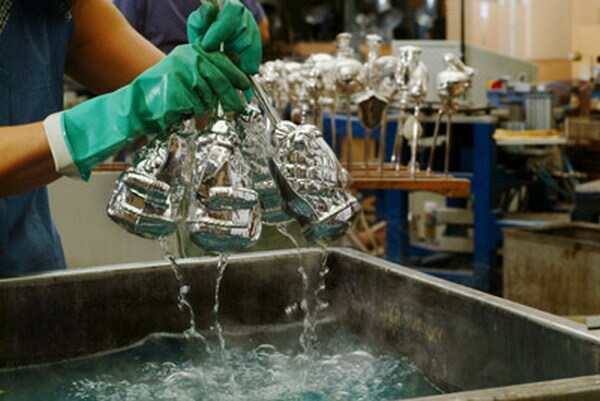 The silver, in liquid form is combined with another liquid in the ornament, and when dipped by hand into a warm water bath, the chemical reaction occurs, creating the mirrored coating that is so magical. The final step brings the form to life. The painting and details can only be realized through fine hand painting and this makes every piece unique. Every piece that we make here at Krebs Glas Lauscha is made following this process. 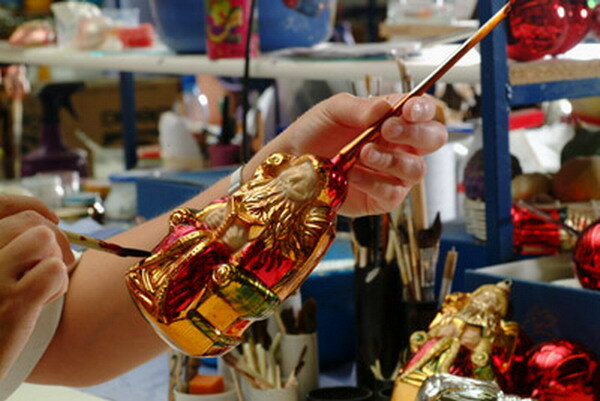 When the ornament is painted and a touch of glimmer is applied, also by hand, the blowing tube is cut off and our trade mark is crown attached. The ornaments are lovingly hand-packed and ready for delivery to Christmas ornament lovers all over the world.